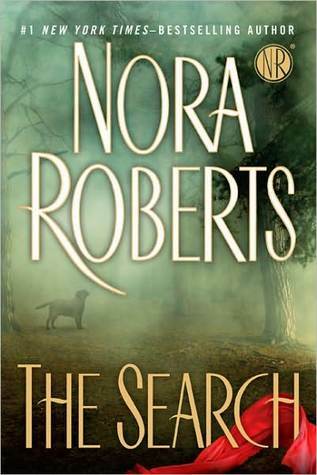 I thought that I had read enough Nora Roberts for awhile and could move on to other things. Like laundry, doing my actual job, and a foray into capital ‘L’ literature. I was wrong, but I’m not sorry. Nora Robert’s The Next Always is book one in the Inn Boonsboro Trilogy (really, who can avoid a trilogy?) and chronicles both the romantic life of Beckett Montgomery. Beckett is one of three brothers who together are Montgomery Family Contractors. They, along with their mom, have undertaken the rehab of the town’s historic hotel and we start with Beckett, because he’s the architect. The story chronicles the finishing of the remodel of what sounds to be a pretty fantastic B&B as well as Beckett’s burgeoning relationship with Clare. Clare is a young widow who has moved back home with her three sons. She is the independent sort, has her own home and her own business, a Bookstore, just down the road from the Montgomery’s Inn. Clare married her high school sweetheart and lived the life of a military wife, but Beckett has been holding a candle for her since he was 16. The courtship outlined in this book is by no means easy. There are Clare’s three kids, crazy schedules, the remodel, everyone’s families, a stalker, hiring an innkeeper, grief and a ghost. But it’s a fun and quick summer read. I’ll be tackling The Last Boyfriend later this summer and will be waiting patiently (ha!) for The Perfect Hope to round out the trilogy in November. I picked this one up based on a review here in the Cannonball by meilufay. I had never read a book by Mary Doria Russell and before this year’s Cannonball I hadn’t spent too much time in interwar Europe. Both of these things have now changed. I quite liked this story and was appreciative that it was a slim (249 page), quick read. 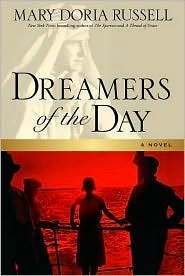 Dreamers of the Day is narrated by the disembodied voice of Agnes Shanklin who recounts to the reader the story of her time in Egypt during the 1921 Cairo Peace Conference. That conference went about hacking up the Middle East after the Great War. Agnes is an unlikely set of eyes from which to witness this piece of history, as she freely admits since she is a 40 year old spinster elementary school teacher from Ohio. During the Influenza outbreak of 1918-1919 Agnes loses her entire family and is therefore the sole inheritor of several estates, setting her up with enough money to live comfortably, but frugally, and splurge on a trip. She does splurge, and decides to visit Egypt and the Holy Land as she promised her now deceased sister she would do. It is there that Agnes’ path crosses T.E. Lawrence, Winston Churchill, and Lady Gertrude Bell to name just a few. Russell does a fantastic job of using her research to build out the fictionalized versions of these characters and bring to life the behind the scenes work of bringing a great conflict to an imperfect conclusion. But this is not really where this book shines – it shines the careful illustration of Agnes’ life both pre- and post- adventure. I found the parts of the book describing the Influenza outbreak and the Great Depression a more grasping read as the middle of the book tends to get stuck in the hour by hour or minute by minute descriptions of events. This book is full of well drawn characters and interesting story lines. This is more than a good book, but less than a great book. I described it to a friend as wonderful. Favorite quote (in a very quotable book): “Add water, and the soil is so fertile that you could plant a pencil and harvest a book” (Russell 211). I picked up Mr. Darcy’s Diary by Amanda Grange since I was having trouble getting into the book I had decided was going to be #23. That book will still be read, but it will be appearing later in the cannonball. As for a return visit to Mr. Darcy and Elizabeth Bennett, there were definitely parts I enjoyed and parts I just got through. I don’t generally go in for fan-fictionesque books. I tend to read the original and move on. I formed a deep and abiding love for Austen in high school and it has never failed me. My sister bought me this one, knowing of the Austen love and it sat on my bookshelf for quite awhile, because I just couldn’t imagine sitting and reading it. The book is literally written as a diary, and upon further investigation this is not Grange’s first foray into this format. It makes for a slow start to be sure. The book starts before and extends after Austen’s Pride and Prejudice. Grange captures the tone of Fitzwilliam Darcy well, and it’s nice to spend some extra time with beloved characters, and view the relationship between these two seemingly ill suited lovers, but I’m not sure I’d actually recommend this to anyone. My favorite parts were the ones which crossed over from the original novel and was Darcy telling the reader his impressions. Read if you must, but be warned. So I’m back to Nora Roberts. She’s my weakness, like ice cream and caramel. But I’ve decided to pursue the full cannonball since I’m doing pretty well on the half-cannonball. And Roberts books help keep the pace. The Search is the story of Fiona Bristow. Fiona lives on Orcas Island off the coast of Washington state and runs a dog training facility from her home. She has a quiet life filled with her three dogs, her stepmother, friends, and her Search and Rescue group. All in all things are looking pretty good, but there isn’t a man in her life and she’d like for there to be. Enter Simon Doyle, a reasonably well known wood artist who has just relocated to Orcas from Seattle following the dissolution of a relationship which was covered in the gossip papers. Simon is also the owner of a brand new puppy who he has aptly named Jaws. This leads to the meet cute between Fiona and Simon, when he brings Jaws in for puppy training class. The relationship starts as friendship with a little bit of heat and then grows into a no strings attached but physical relationship. Well, until Fiona’s past rears its ugly head. Nine years ago Fiona was the sole survivor of the Red Scarf Killer, who as retribution kills Fiona’s fiancé and his search and rescue dog. This murder and Fiona’s testimony put the original killer in jail, now there is a new killer who is copycatting and has made threats against Fiona. This ups the stakes in all aspects of Fiona’s relationships. This was a good thriller, which Roberts has shown considerable skill at. A good summer read. I’m going to attempt to keep this review very short. I did not like The Translation of the Bones by Francesca Kay at all. Not even a little. The book aims to tell the tale of what happens when a somewhat slow-witted but harmless young woman, Mary-Margaret witnesses a miracle, maybe. Religious mania descends on the Church of the Sacred Heart in Battersea, London. The consequences are devastating, not only for Mary-Margaret but for others, including Father Diamond, the parish priest, who is in the midst of his own lonely crisis of faith, and Stella Morrison, adrift in a loveless marriage and aching for her ten-year-old son, away at boarding school. Meanwhile another mother, Alice Armitage, counts the days until her soldier son comes home from Afghanistan, while Mary-Margaret’s mother, Fidelma, imprisoned in her tower block, stares out over the city through her window with nothing but her thoughts for company (Amazon provided most of this recap). The problems are many, but here we go. First, the introduction to the story, told through Mary-Margaret’s eyes ends up being more confusing than it needs to be. Second, there are no chapter breaks in this 200 page book and the narration slides back and forth between the characters listed above without any real demarcation and at times incredibly rapidly. Third, I found it impossible to like these characters. Fourth, Kay’s writing is far denser than it needs to be. I appear to be alone in my feelings on this book, as it seems to have garnered quite a bit of praise when it was published this January. Also, Kay won the 2009 Orange New Writers Award but I just don’t get it. I have a fondness for Carl Hiassen books that is directly linked to the fact that I spent my formative years living in South Florida and that I was raised by two incredibly sarcastic folks. This means that I am hardwired to love this man and his books. I decided that a return trip into the land of Hiaasen was a great way to start the upcoming summer season so over Memorial Day weekend I dove right in (pun intended). Skinny Dip starts off with a woman recounting being tossed into the Atlantic Ocean from a cruise ship by her husband, and trying to puzzle it out while also swimming for shore – which is many, many miles away. Our fateful heroine ends up fighting a shark, she thinks, but instead ends up holding close to a bale of marijuana to float closer to shore, and he rescuer who lives alone on a small island in Biscayne Bay. Joey Perrone is our castaway and her rescuer is a former Miami cop, Mick Stranahan. We learn throughout the book about each character’s difficult pasts. She was orphaned at a young age, he’s been married six times. Because this is a Hiaasen book it’s not a romance, but it is a comedy (Joey’s parents die in a plane crash which was most likely caused by a trained bear waking up in the co-pilot’s seat and he has had his boat stolen several times by exes looking to leave the island). While a good chunk of the story is about Joey and Mick, the larger part of the story is about Joey’s revenge on her husband, Charles ‘Chaz’ Perrone and his reasons for attempting to off Joey in the first place. Chaz, it turns out, is part of Samuel ‘Red’ Hammernut’s plan to keep polluting the Everglade. Red is a crooked farm tycoon who owns large vegetable fields adjacent to the Everglades, which he pollutes with fertilizer run-off. Chaz is officially employed by the state authorities to test swamp water for pollutants but he is also on Hammernut’s payroll, forging the test results and allowing Hammernut to continue doing as he has always done. Chaz thinks Joey has found him out, and the only way to keep her from telling the authorities is to kill her. When Joey comes to on Mick’s island she asks him to keep her rescue a secret and allow everyone, including her husband to think that she is indeed dead and launches a plan to exact her revenge and eventually uncover Chaz’s off the books job. This is just the tip of the iceberg as things devolve into madness. If you’re a Hiaasen fan there are also sightings of favorite Everglades’ hermit Clinton ‘Skink’ Tyree and Twilly Spree. Mick Stranahan is himself a repeat offender in Hiassen’s novels, originating in Skin Tight. I completely loved my time in Hiaasen’s world, and I’m sure I’ll venture back in again before the summer is out since there are a bunch that I haven’t read. For the parent types out there Hiaasen’s Hoot is fantastic.